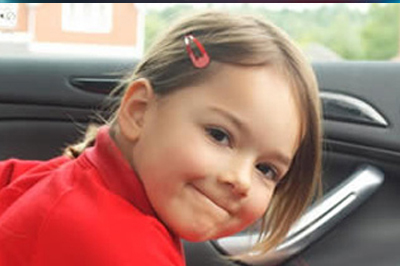 Leicester Executive Chauffeurs is the UK’s leading provider of children’s chauffeur services. We realize that it can difficult for today’s busy parents to take off work or rearrange schedules to be able to provide transportation for their children’s school and social activities. We provide transportation for unaccompanied children so you can go about your day with the peace of mind knowing your child is in good hands. Even stay-at-home parents would benefit from our children’s chauffeur services. When you need to take care of more than one child, and one needs to be driven to school practice or ballet class, you can rely on us to transport them safely to their destination, so you don’t have to. You can trust us to take care of your children as you would trust a friend or family member. What would you benefit from our children’s chauffeur services? Liberate some of your time, so you can handle other tasks that require immediate attention. Caring for a sick child, for example. Free up your schedule and make room for that much-needed me time. Attend important events, or enjoy a date night with a loved one once in a while. Avoid incidents that could arise from driving when irritable, exhausted and unfocused due to your hectic schedule. Enjoy the peace of mind knowing that your unescorted child is not traveling alone or completely unchaperoned. Add value to your life and that of your child, by making time for yourself while ensuring your child enjoys the activities they love. 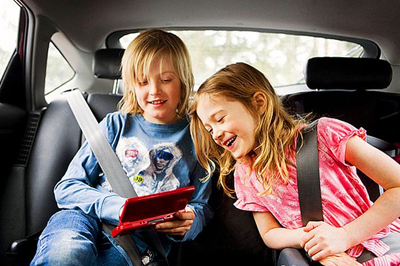 Our drivers will make your child feel at ease as they ride in the safety and comfort of one of our luxury vehicles. Our drivers have children of their own so they know what it takes to make them comfortable and reassured. Whether your child is a toddler, pre-teen or teenager, Leicester Executive Chauffeurs will collect them promptly and deliver them safely to their required destination. From pickup to drop-off, your child will remain safe and comfortable. Leicester Executive Chauffeurs provides blankets, snacks, drinks and anything else that is required for them to relax and enjoy the ride. We verify at both the pickup and drop-off points who we receive and deliver your child to so you know they are secure and with the proper parent or guardian of your choosing. Our Chauffeurs are parents themselves, so they fully understand the feeling of apprehension that you would experience when your child is traveling solo or with a stranger. For this reason, you can rely on them to protect your child from the time they leave your side until they return. We operate with professionalism and reliability, two vital requirements when making travel arrangements for your children. We operate with complete transparency, offering full disclosure of information about your child’s chauffeur. From full contact details to professional experience. To put your mind at ease, we can arrange a meeting with you and our chauffeur before you entrust your child with them. We guarantee your child is never left unaccompanied, whether they are under 3 years of age or 17. During airport transfers, our security licensed chauffeurs will accompany your child through the check-in process up until they safely embark on their journey. Upon arrival, our chauffeur we’ll be waiting for them right on schedule and with a warm welcome. All our chauffeurs are vetted to ensure their trustworthiness and suitability for the job. They’re also trained to administer first aid whenever the need arises. As a family-focused and customer-centric company, Leicester Executive Chauffeurs follows and impose a stringent duty of care process that is founded on reliability, trust and professionalism. Leicester Executive Chauffeurs has been providing quality chauffeur services for many years and our reputation speaks for itself. We’ve even been rated No.1 in the UK for chauffeur services. Yo can even read our testemonials today for peace of mind. We’re a customer favorite and are the most requested chauffeur service in Leicester and the surrounding area. We are professional, discrete and secure; your child will be safe and well taken care of during their journey. Contact us today for more information or to schedule a booking. For premium children’s executive chauffeurs, call on the best; call on Leicester Executive Chauffeurs.